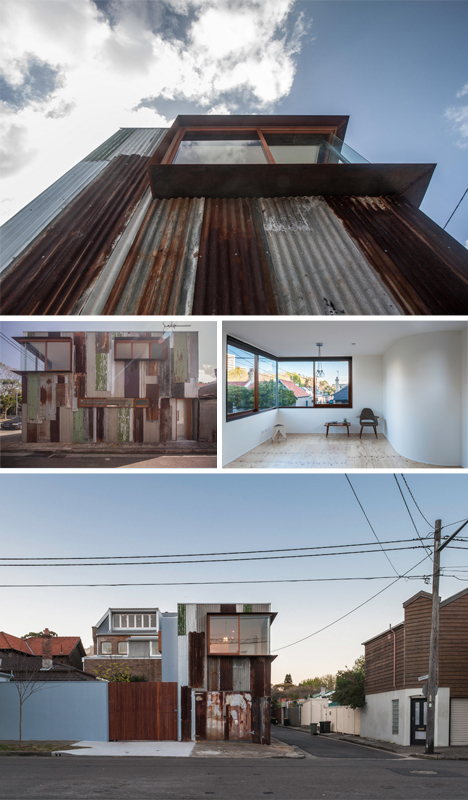 In a sleepy suburb of Sydney, Australia, long since taken over by mainly-one-story houses, sat a disused metal-sided shed. An ad hod affair, it was a rare leftover of what was once an industrial neighborhood, destined for demolition but instead converted into a strange new home. 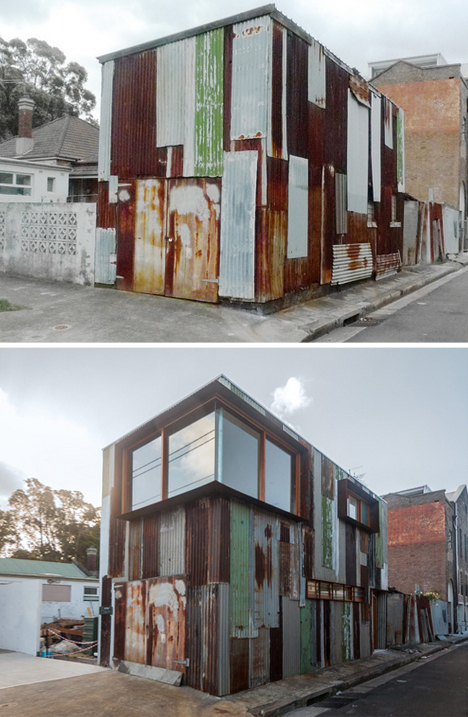 The newly-reconstituted building dubbed ‘Tinshed’ by Raffaello Rosselli (images by Mark Syke) is made from the metal of the old abandonment. It is still pockmarked, with a haphazard surface that slips between gray, green, white and red – its panels overlapping in odd and seemingly chaotic patchwork patterns. Now, however, it these frame a few more oddities, like windows for the first time in the site’s life. Inside, the building has immaculate flat white walls and crisp curved surfaces, reflecting its fresh purpose as a studio (on the first floor) dwelling and office space (on the second level). 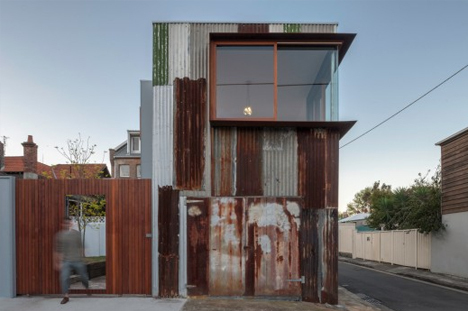 The juxtaposition of interior and exterior is fitting, as the entire structure is itself a strange addition to its surroundings.